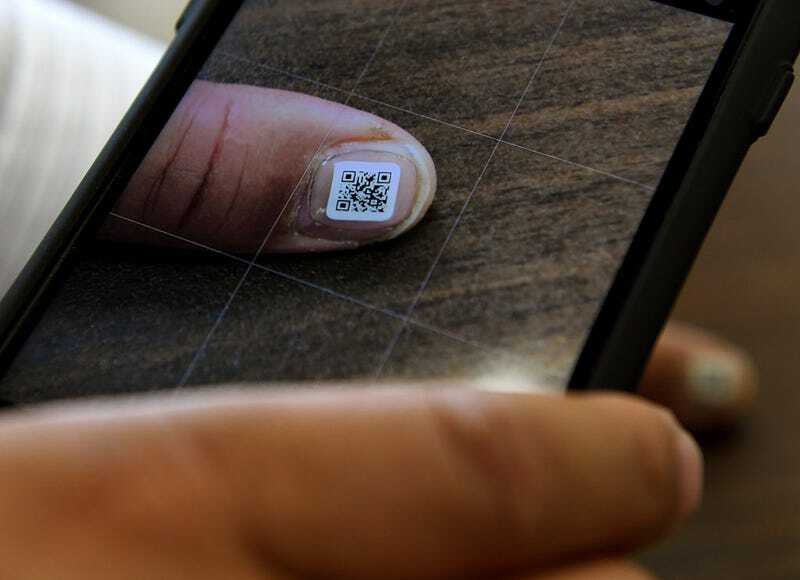 The oldest country in the world is taking new steps to keep their wandering elders in check: adding barcodes their thumbnail and toenails. It’s creepy, but potentially life saving. A company in Iruma, a city about 40 miles from Tokyo, is rolling out a tagging system for elderly patients suffering from dementia: a transparent, one-inch sticker with a QR code. The seal is water-resistant and stays on for up to two weeks. The code has a record of the patient’s name, address, phone number, and who to contact in case they’re found disoriented. The QR code doesn’t track the elderly person’s movements, however, it just provides specific information when scanned at a police station. One in three native Japanese citizens is over the age of 60 and Japanese outlet Yomiuri estimates as many as 3,000 elderly citizens have early symptoms of dementia. The Guardian reports that last year, more than 12,000 people with dementia were reported missing. Most were found within a few days, but more than 450 were found dead. 150 were never found. Dystopian as it sounds, this is by no means unique to Japan. There’s a small economy of elderly tracking and tagging devices, from pocket GPS trackers to wearable soles. While there are any numbers of privacy concerns about walking around with easily readable personal data on your thumbnail, there’s little someone can do once they’re diagnosed with dementia. In America, they’re typically placed into conservatorship, with power of attorney going to a child. It’s creepy and even heartbreaking, but if it prevents a loved one from disappearing into the night, it might be worth it.